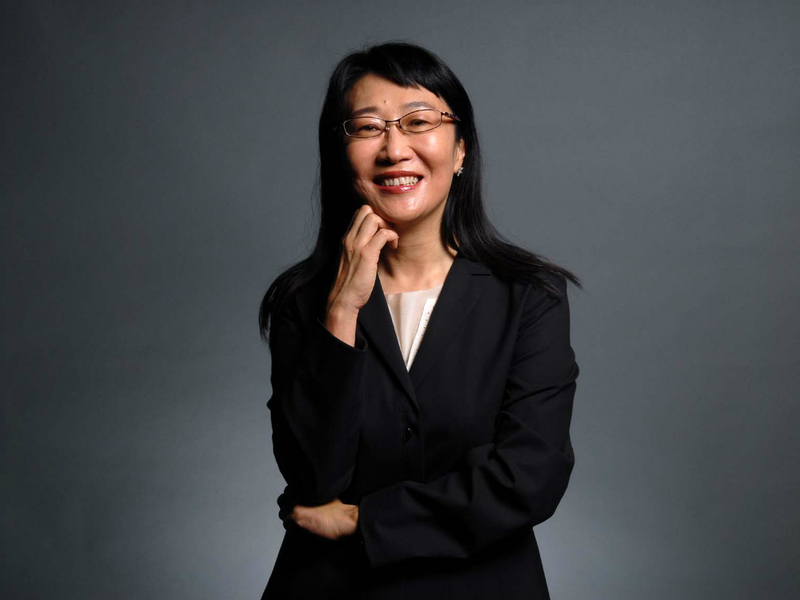 Forbes named Cher Wang the 54th most powerful woman in the world in 2014 and CNBC described her as ‘one of the most powerful women in technology’. She originally had ambitions to be a concert pianist and went to UC Berkeley as a music major, but she switched to economics after three weeks and went on to graduate with a masters in 1981. The HTC One M8 was the most awarded smartphone and now, they’re branching out into virtual reality with the HTC Vive virtual reality headset. What’s a typical workday like for you? It’s pretty spontaneous. In the morning, I get up and exercise, then it’s meetings after meetings. But it really depends on the day. I think the most exciting thing is our design reviews, where I work with individuals at HTC to make decisions on how to change things and make things happen. That’s the most exciting part because we have a lot of designers from San Francisco, Seattle, Europe, Taiwan and China. When that diversity of people comes together and shares ideas it’s very exciting. So my day can be quite typical but exciting. The tech sector is very male-dominated – have you ever found that an issue? I’m an entrepreneur and when you’re starting a business, you just have to survive and try to conquer everyday as it goes by. I don’t really know if it makes a difference if you’re female or male; you just have to survive and make it happen. But the more I met with different kinds of technology companies, the more I found there are far fewer women. And why is that? I think it’s difficult to have children, a family and also to keep your career continuously on track. It’s very important for government policies to really encourage companies to hire females. And also companies should have good policies to encourage that because women make up more than 50% of the population. Women look at things completely differently to men, and it’s a waste that we don’t utilize this capability. Have you found it hard to have a proper work/life balance since starting a family? When I started the company, my children were just babies so I would usually bring them along with me to work. If I went on a business trip, my children would usually stay in the hotel with my mother or a nanny. It’s very important to have that support network. It can be hard work getting the balance right, but it’s something that people have got to get used to. You switched from a music major to economics at university. What made you decide to do that? I was just being very realistic. When you enter a music major and you find out that everyone is much more talented than you, even when you work really hard, then you know that music is something that you can appreciate but not pursue as a career. After three weeks I realised I had to change it; I like reading about economics and politics and I knew it was the right choice for me. What has been your proudest achievement? It’s very hard for me to answer this question! I think the biggest achievement has been continuously achieving more. Never stopping. Especially in technology because things go by so fast. I don’t look at things in the past, I look forward. Things that have been successful in the past become your experience going forward. Have you had a particularly tough moment in your career? When I was just starting out in my career, I started a personal computer business. We had to open an account with a Spanish client and they never paid us. I thought the company was going to go bankrupt and that was very tough. It was our first business and I never got the money back. But I kept going – I was in Barcelona back in the 80s so I had these very big, very heavy desktop computers and I would drag one on the rural trains, and I’d call into my customers’ homes to show them the performance of the desktop machine. It opened up the European business for me and we became number one for the next two years. Is there something you wish you’d been told at the start of your career? I think a lot of the time the most important thing is humility. You think that you’re in this business for a long time and you think you’ve learned everything. No, you haven’t. It can depend on the profession, although especially with technology, there is still so much to learn every day. Understand how things happen, understand everybody’s strength, really live it everyday. I think that’s the most important thing. I wish I could remind myself more. So HTC Vive [virtual reality headset] is something very interesting. We’re just starting. When you put on the head monitor, you can actually walk around and you’re inside the space. For example, you could be on the deck of a ship and you’ll see fish and you can actually interact. If you’re a medical student learning how to operate, it’s very difficult to train interns. It’s very rare for a very good heart surgeon to teach a good student and this is an opportunity for a lot of people to learn the skill of a great surgeon. So that is something you can think about in terms of HTC Vive’s use in education. And maybe you could use it for interior design, to see how furniture looks in different areas, or to go travelling and experience different cities from your headset. Does a person need a certain set of traits to work in the tech industry? I think it’s passion, right? If you really like something, obviously you want to know all about it. The curiosity and the passion are very important and once you have that, I think anybody is capable of working in this industry. People who study technology, they might study for four years at university but I’ve met people who never touched technology, never were an engineer before, but they study daily in their own time. They become very good managers and engineers. So it’s about the curiosity and the passion. YouTube – I listen to classical music to relax, it gets me into the frame of mind for business. Candy Crush – I used to be addicted so recently had to delete it! Facebook and Whatsapp – I find this really important for staying in touch with friends and family as I travel so much.